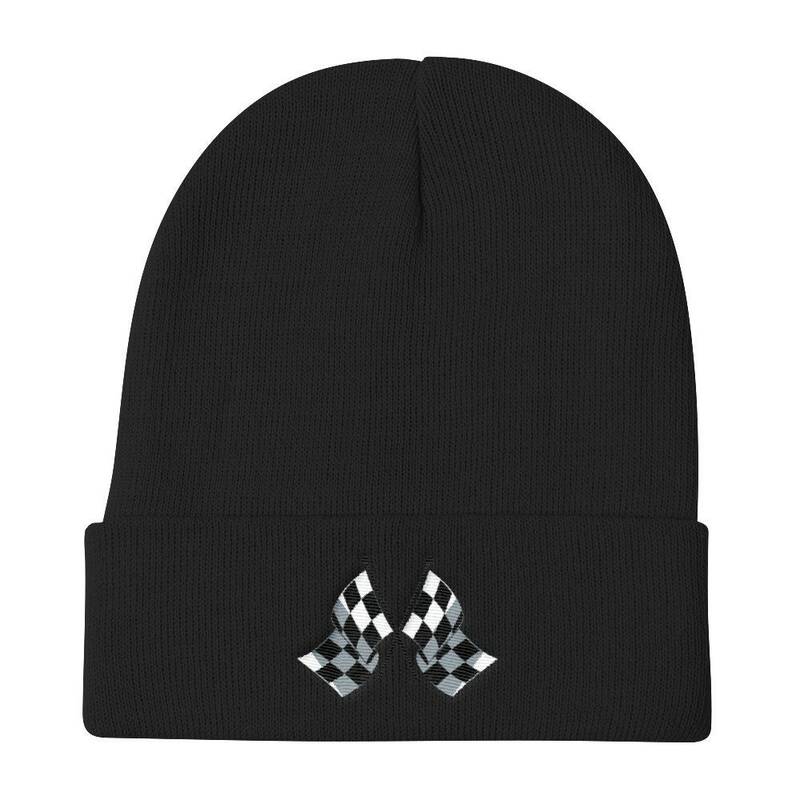 A comfortable, warm knit beanie. Great for keeping you warm in the cold months. If you like car racing, then you can show that with this embroidered racing flag design.